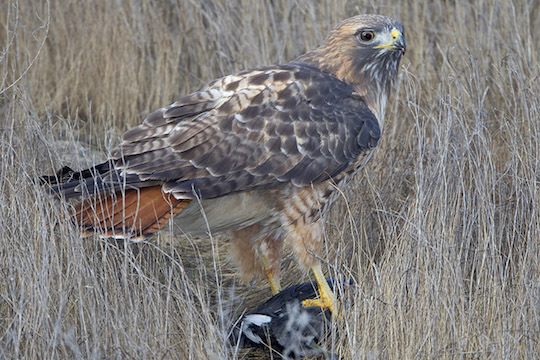 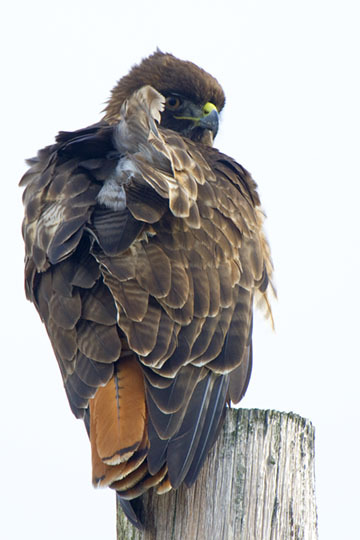 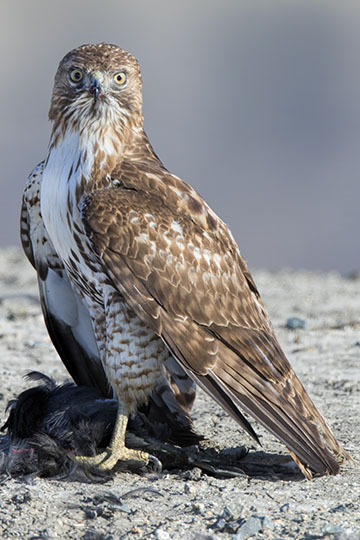 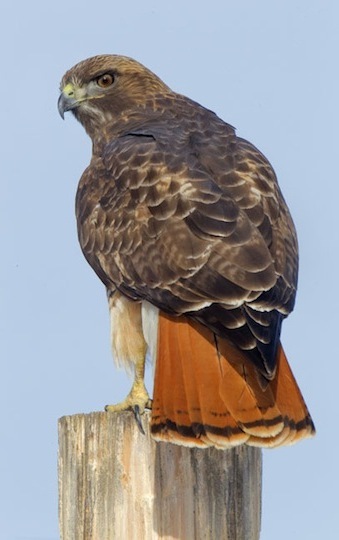 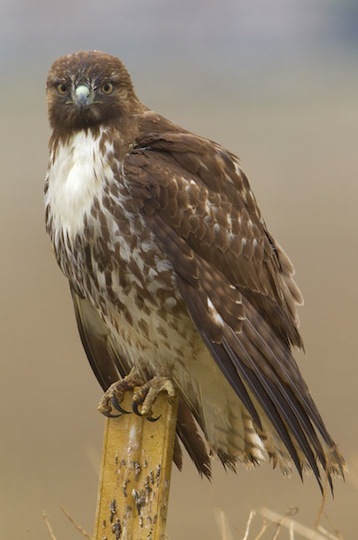 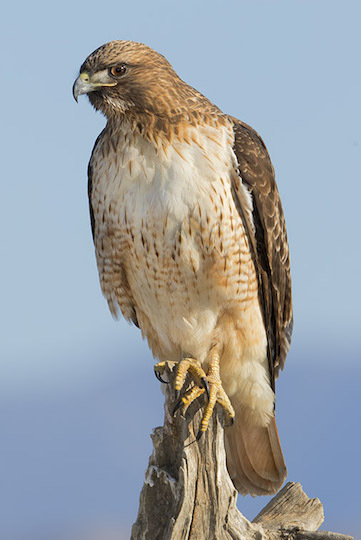 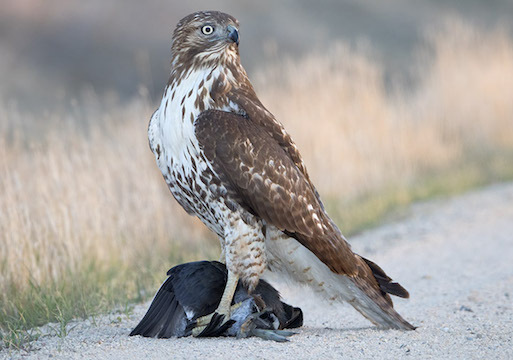 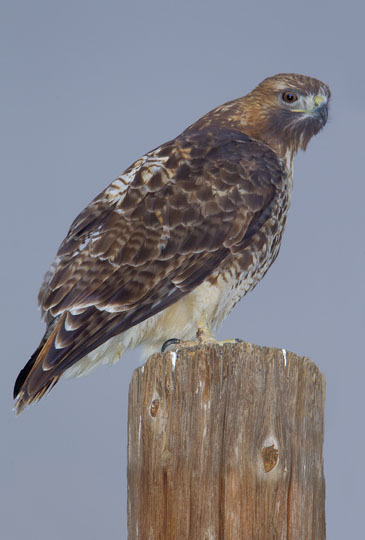 Red-tailed hawks are common throughout most of North America and occur in a wide and confusing variety of subspecies and color phases. 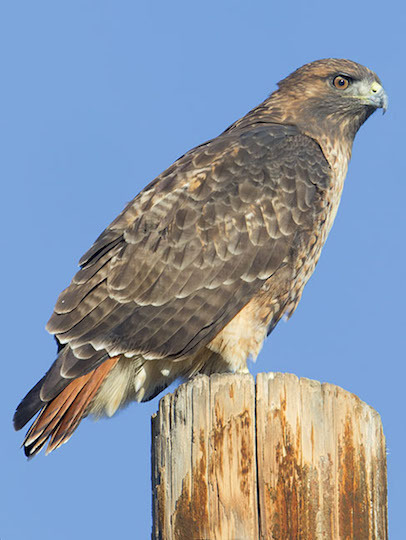 Some of the adults shown here have the typical tawny-breasted coloration of western red-tails; some have a very pale breasts, and several approach the dark-morph extreme. 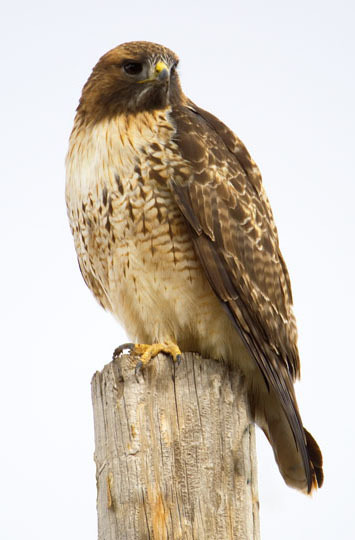 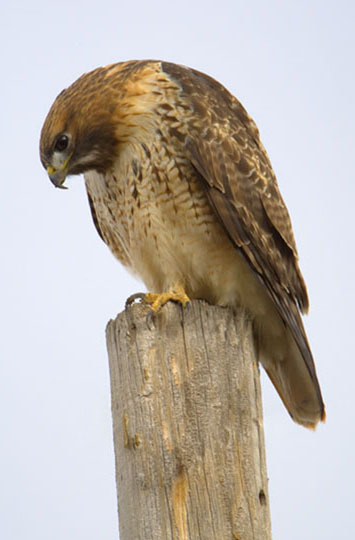 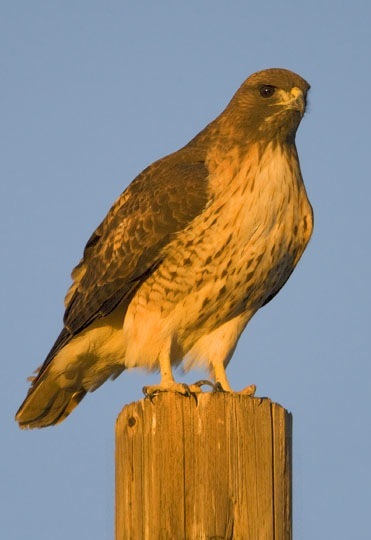 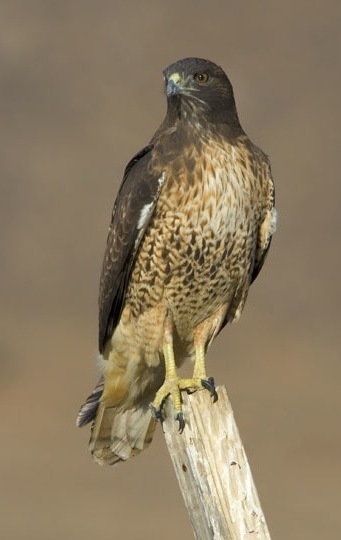 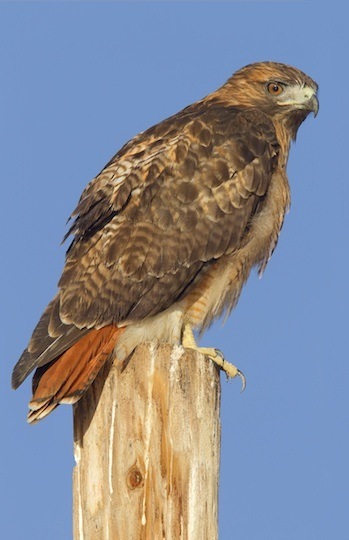 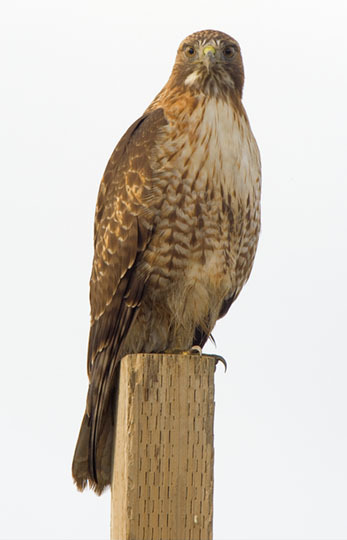 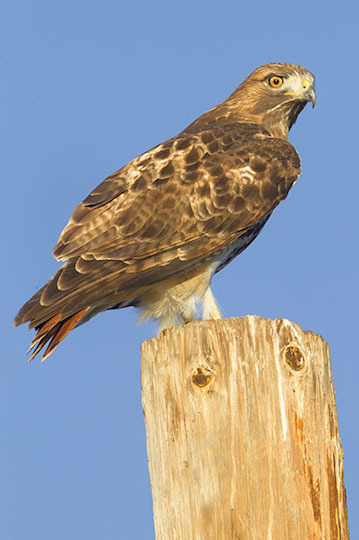 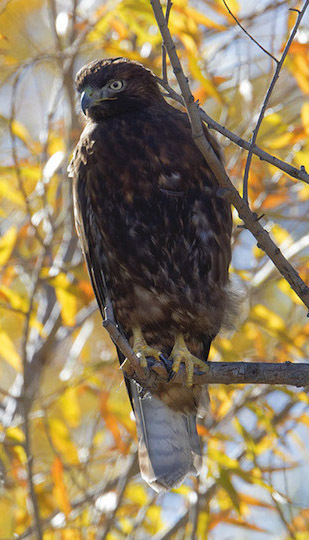 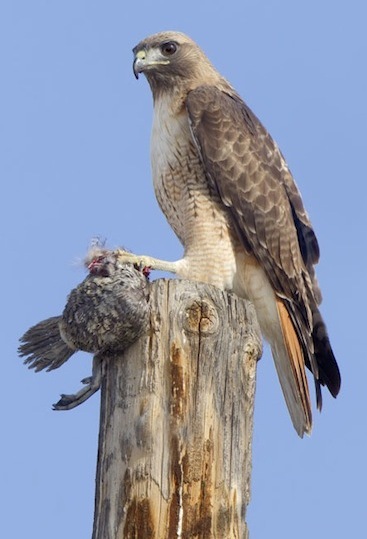 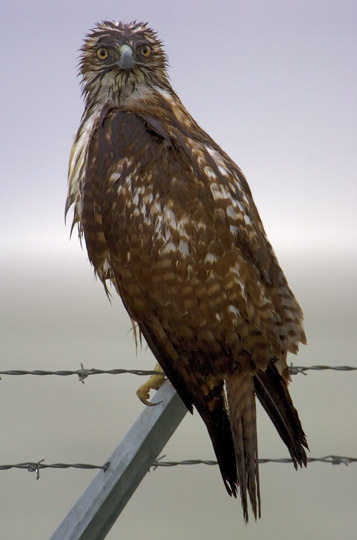 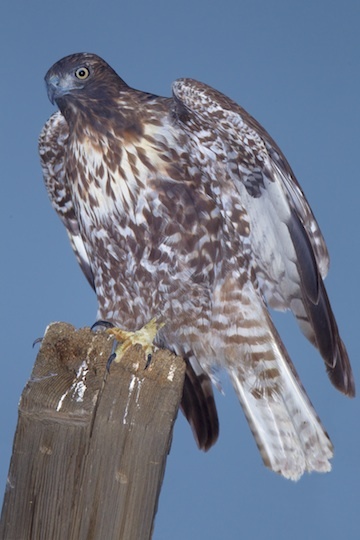 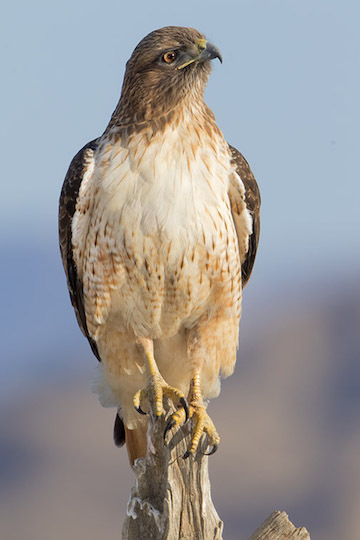 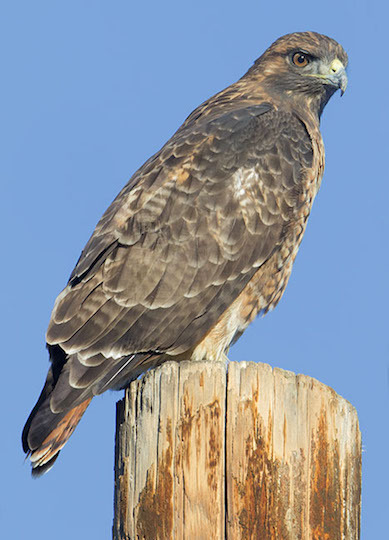 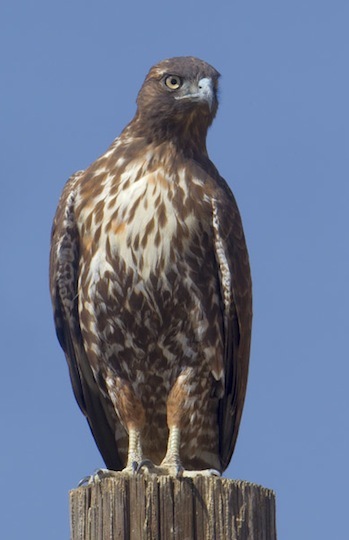 Many of these hawks were on power poles near the San Jacinto Wildlife Area near Riverside, California; one was photographed in western New Mexico. 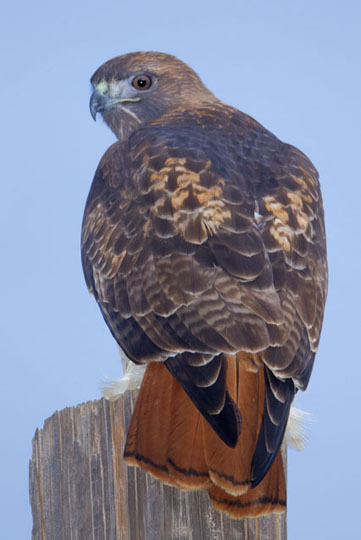 I took most of the pictures out of my car window; most red-tails are much less concerned by vehicles than by humans on foot. 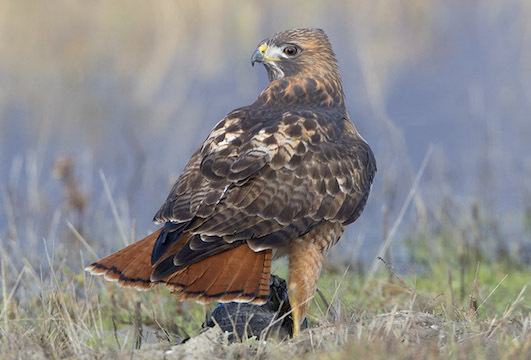 Most juveniles have a heavy breast-band and brownish banded tail. 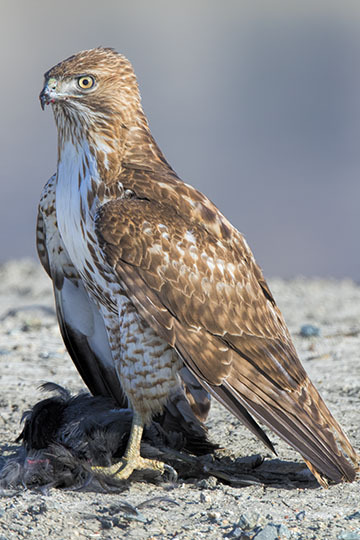 The adult feeding on the remains of a San Joaquin antelope squirrel, and the very dark juvenile, were wintering in the Carrizo Plain in San Luis Obispo County in central California. 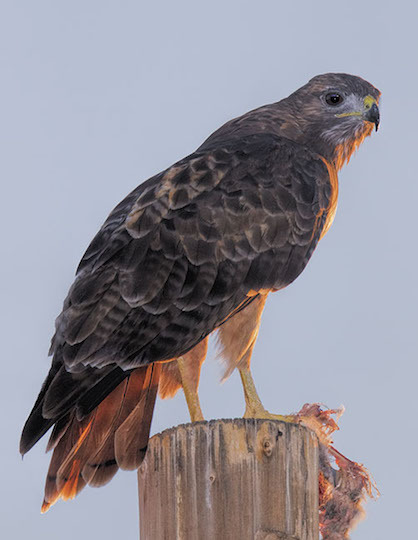 One bird looks quite golden-red because the image was shot just a few minutes after sunrise. 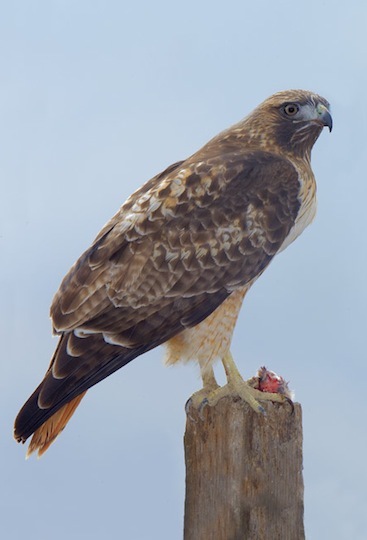 Pictures of red-tails not sitting on power poles are here, dark-morph birds are here and here, another page shows red-tails in flight, and another shows 'Harlan's hawk' (a northern race of the red-tail).